PurKine™ Protein A/G Resin 4FF has been immobilized for use in IgG purification applications in gravity column procedures at a variety of scales. The Resin consists of 90μm beads of cross-linked 4% agarose, to which Recombinant protein A/G has been coupled.Tests confirm that performance equals or exceeds popular Recombinant protein A/G resins from other suppliers, and no decrease in performance occurs after at least five repeated uses.In addition, its high flow properties make it excellent for scaling-up. Fig.1. 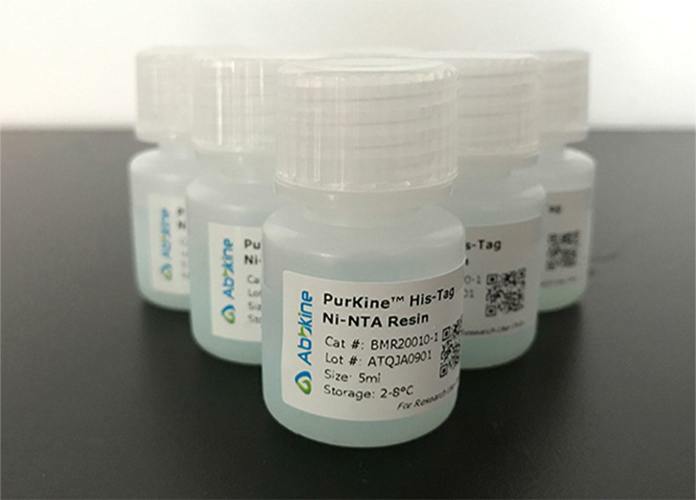 Abbkine PurKine™ is series of unique purification portfolio from settled resin, prepacked spin columns and full kits for your most types of sample purification and preparation. Fig.2. Rather than traditional method of resin production, Abbkine is taking advantage of the latest synthetics process with cutting-edge techniques for the resin development and accessories optimization. PurKine™ tools are available for your samples from fusion proteins, nucleic acids, antibodies and biomolecule markers with improved productivity, simplified workflow and cost saving. Liquid solution with 50% slurry in 20% ethanol. • High capacity—More than 7mg human lgG per mL of resin. • High performance—Recombinant Protein A/G Beads combines the IgG binding domains of both Protein A and Protein G. Protein A/G contains four Fc-binding domains from Protein A and two from Protein G, making it a more general and convenient tool for investigating and purifying immunoglobulins. • Cost-effective—No performance decrease after at least five repeated uses of the same batch of resin. • Flexible—available in multiple formats including bulk resin, spin columns and complete kits. • Robust—highly crosslinked beads tolerate linear flow rates up to 300cm/hour. Liquid in PBS buffer containing 20% ethanol. Stable for one year at 2-8°C from date of shipment. Do not freeze. 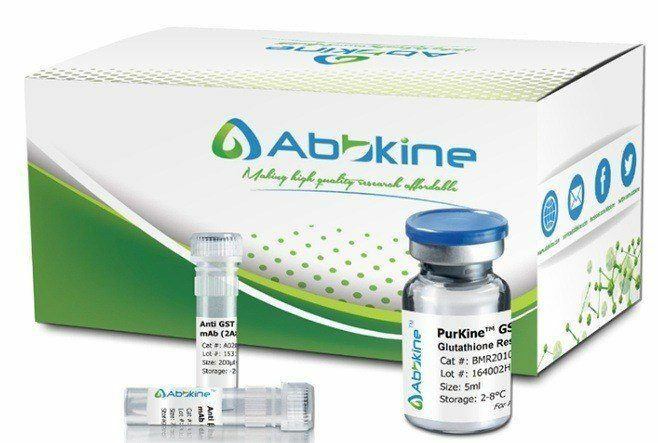 PurKine™ Protein A/G Purification system is effective for affinity purification of IgG from serum, ascites fluid, cell culture supernantant and other antibody samples. Recombinant Protein A/G is chemically modified with a proprietary method to minimize nonspecific binding of proteins. Also, Protein A/G binding to immunoglobulins is not as pH-dependant as Protein A. Protein A/G binds to all human IgG subclasses and binds well to all mouse IgG subclasses but does not bind mouse IgA, IgM or serum albumin. The portfolio allow optimization of process for maximum protein yield, stability and solubility. Tests also confirm that no decrease in performance occurs after at least five repeated uses. The PurKine™ Protein A/G Purification Resin is also available as prepacked spin column and kit formats.